29-9 & 10, Jalan Loke Yew, 55200 Kuala Lumpur, Malaysia. 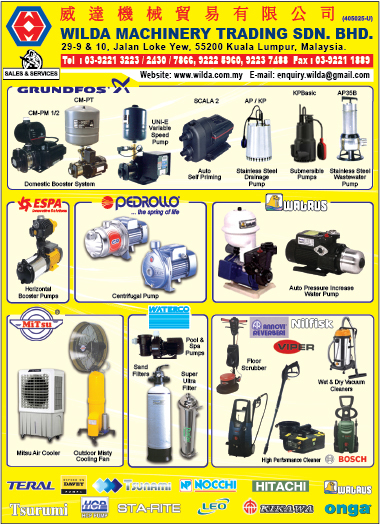 Wilda Machinery Trading Sdn Bhd, a Malaysia based company, provides sales and services of all brands of machineries, water pumps, power tools, and equipments for construction sector as well as the use of end users. 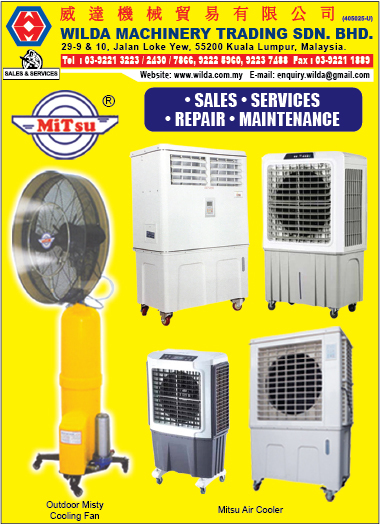 Our office, showroom and service centre are currently located in Jalan Loke Yew, Kuala Lumpur.